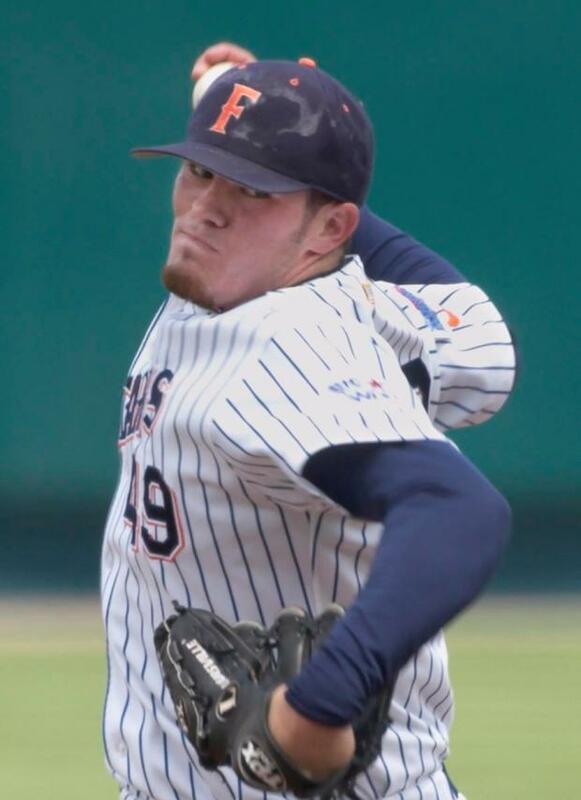 Pitching and defense have been the cornerstone of any Cal State Fullerton Titan Baseball team since Augie Garrido took the helm. Through the years, from Garrido to Larry Cochell to George Horton to Dave Serrano and now to Rick Vanderhook, the guys taking the hill have been tremendous. 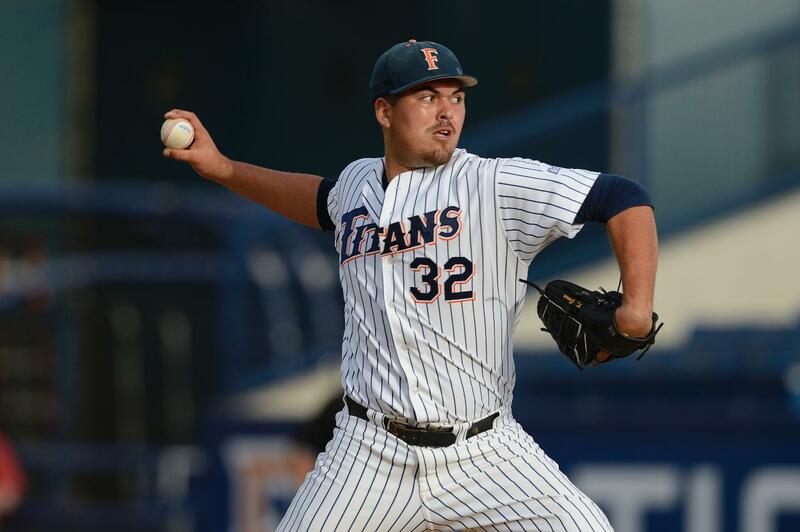 Piggy-backing off of our previous post, The all-time Cal State Fullerton Titan baseball team – Batters, we have assembled the rotation and bullpen the Titans could assemble across their all-time roster. 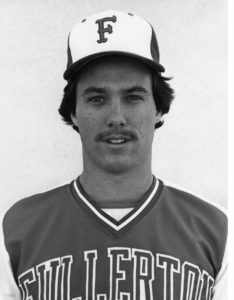 At Cal State Omaha, we did just that, picking out players for the weekend starting rotation spots along with a mid-week starter, two relievers and a shut down closer to craft a Fullerton Fantasy team across five decades (1975 – current). The pitching rotation is based on the players’ college stats and accomplishments. 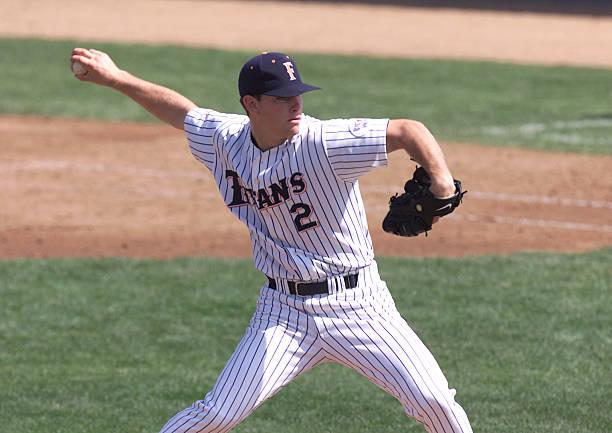 Titan players’ professional careers or lack thereof were not considered, just their college careers while at Fullerton. Consideration was given to their natural fits as a starter or reliever as well as the role they played while at Fullerton. Here is Titan baseball’s all-time pitching rotation and bullpen. Paint the corners. Pound the zone. Don’t let them walk. Thomas Eshelman was the embodiment of control. Eshelman was not an overpowering pitcher that blew you away with pure velocity, but had the control of a Buddhist Zen Master. 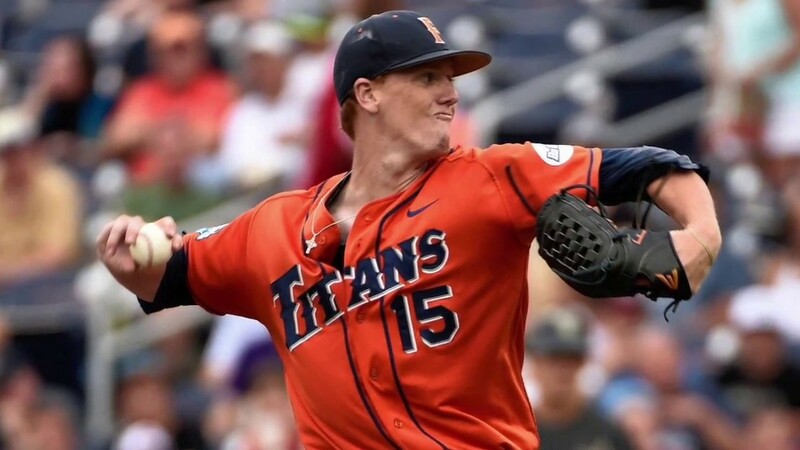 Eshelman arrived at Fullerton undrafted out of Carlsbad High School but immediately made an impact getting the starting nod on Fridays, a spot reserved for the team’s ace. Eshelman would hold onto the No. 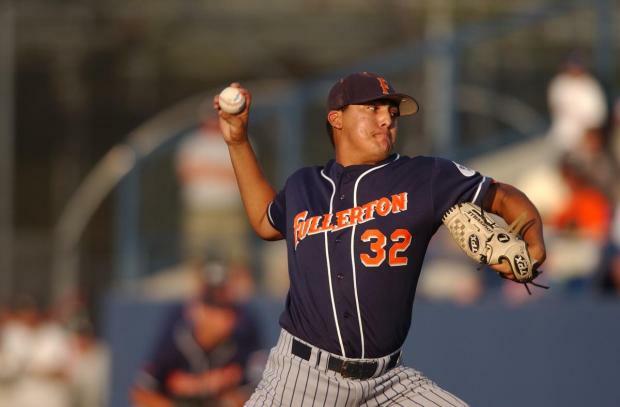 1 role all three years while at Fullerton before getting drafted by the Houston Astros in the second round of the 2015 draft. Eshelman’s career ERA of 1.65 ranks No. 1 all-time and opponents batted a paltry .212 against him. Eshelman’s ERA was so low because nobody got on base unless they truly earned it. His walks per nine innings is a mind blowing 0.43. As a freshman in 2013, Eshelman struck out 83 and only walked three for a 27.7:1 ratio. In that same year, his 0.23 walks per nine innings was an NCAA record and still holds today. Eshelman had a “sophomore slump” in 2014 raising his walks per nine innings to 0.58. He got it back on track his junior season bringing it back down to 0.46. For those that never saw Thomas Eshelman pitch might think his walks were so low because once a batter got three balls, he would plunk him and put him on base, a la Wes Roemer in the mid-200’s. Not true. Although Roemer does have an excellent K:BB ratio, he hit 62 batters in his three year career. Eshelman’s name doesn’t appear on the top 10 list of hitting batters. Although not a power pitcher, Eshelman’s control and placement of the ball fooled a lot of batters. Esh struck out 321 batters from 2013 to 2015 in 50 starts, the most by any Titan to only pitch three years. Jason Windsor will forever be known as the workhorse of the 2004 National Championship Titan Baseball team. A career record of 24-6 with a sub-two ERA (1.81), Windsor was the shutdown pitcher that George Horton handed the ball to in high pressure situations. Windsor issued on average roughly one walk and a half per game (1.60 per 9 innings) and opposing teams batted below the Mendoza Line (.192) when facing Windsor. Windsor’s 2014 campaign was one for the ages dominating in every pitching category including wins (13), ERA (.172) strikeouts (148), complete games (11), shutouts (3) and opponents’ batting average (.172). Windsor’s 2013 season wasn’t too shabby either winning 11 games and posting a .198 ERA. Keep in mind that Windsor was a Junior College transfer and his stats were accumulated in just two years while at Fullerton. Normally Sunday games are played at 1 pm with the sun shining and the warm weather helps fly balls carry. That’s why you need a strikeout pitcher taking the ball on Sundays to avoid those fly balls reaching the fence. Kirk Saarloos was a strikeout pitcher if there ever was one racking up 358 K’s in his four year career. Saarloos also ranks tied for No. 7 all-time in saves (22) a testament to his ability to strike guys out. Saarloos ranks No. 2 all-time in wins (33) and No. 1 in appearances (127). If Saarloos was on the mound, more than likely you would see someone strike out that inning. Averaging 9.4 K’s per nine innings, someone was whiffing on his stuff at least once an inning. In his junior campaign, Saarloos led the team in ERA (2.32). His senior year was even more impressive leading the 2001 Omaha bound club in ERA (2.18), wins (15) and strike outs (135). Opponents must have hated seeing Saarloos on the mound because they collectively batted .219 against him. In 2000, opponents batted .199 vs Saarloos and dipped even lower his senior season to .183. Add four shut outs to his senior season and Saarloos is the guy you want on the mound when you needed that series win or to complete the sweep on the weekend. This selection will undoubtedly cause some controversy. In looking at the list in it’s totality, many will argue that just placing a normal weekend starter that couldn’t get the nod above Eshelman, Windsor and Saarloos, and just place him at the mid-week spot. Valid argument but you need to consider the mid-week starter is an animal in and among itself. Mid-week starters are typically bullpen middle relievers that are not in the weekend rotation. The mid-week pitchers are typically a hodge-podge of bullpen guys and normally you will see five of them appear in a non-conference game. “Johnny All-staff” is typically the pitchers you see on a Tuesday or Wednesday. Koby Gauna was a starter disguised as a middle reliever that took the ball on Tuesday nights. Guana does not get the nod in this spot based on being the Mid-week guy on a teams that boasted weekend guys like Dylan Floro, Eshelman, Justin Garza and Grahamm Wiest and he just couldn’t crack the Friday through Sunday rotation. Gauna when given the ball, normally mid-week and out of the bullpen on the weekends, delivered. Gauna issued the third fewest walks per nine innings (1.14) and struck out 118 batters while walking only 23 in three years at Fullerton for a 5:1 ratio of K’s to walks. His career record of 14-7 with 7 saves and a 2.37 ERA, firmly places Gauna in the mid-week role. His 2014 season ERA (1.64) ranks fourth all-time and struck out 54 and only walked eight in that same season. His 2.37 career ERA ranks seventh all-time, with three of the six ahead of him, appearing on this list. Wait a minute. Wasn’t Ted Silva the starting pitcher for the 1995 National Championship game vs. USC? How is Ted Silva a bullpen pitcher on this all-time Titan squad? Many do not remember that Ted Silva was a reliever before moving into the starting role in 1995. Silva’s 26 saves ranks sixth all-time in just a three year career at Fullerton. Keep in mind, he did not relieve in 1995 and those saves were accumulated in the 1993 and 1994 seasons. When he did move to the starting role, he shined and racked up 18 wins in the 1995 season, tops for a season. Over three years, Silva appeared in 94 games and averaged nearly one strike out per inning pitched. 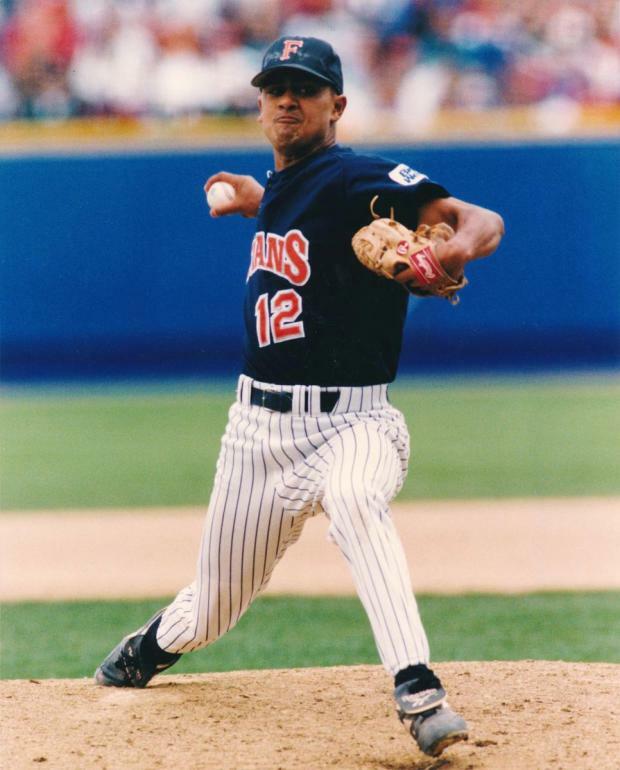 Silva as a reliever in 1994 tallied the lowest ERA of the team (2.29) and in 1995, led the squad in wins and strike outs (142). Scott Wright was the man the ball was handed to at the end of the game when the Titans needed to slam the door and secure another win in the 1980’s. 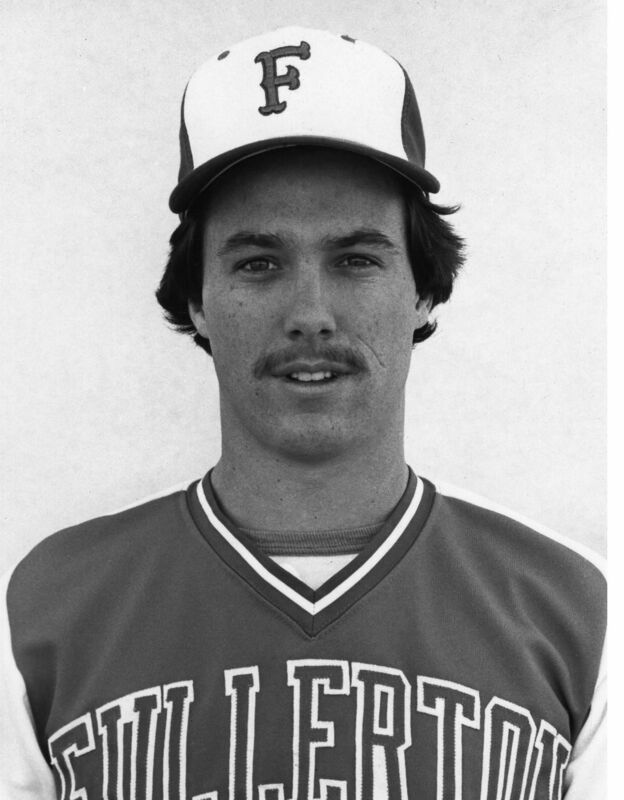 Wright culminated a four-year career at Fullerton by winning Titan Baseball’s second College World Series in 1984. That 1984 season, Wright set Titan records with 22 saves in 47 appearances. Those 47 appearances was an NCAA record for most appearances in a season. Compiling a 14-4 career record with 32 saves and a 3.19 ERA over four years, Scott Wright would make the perfect pitcher to come in and hold the game in the late innings on this all-time Titans squad. Nobody was more clutch in closing out Titan Baseball games than “the Chief”. When Chad Cordero arrived on campus, he was a closer from Day one as a Freshman and held that role for three years before getting drafted by the Montreal Expos. The Chief compiled a career record of 12-8, 34 Saves and a minuscule 2.09 ERA. Cordero also went to Omaha twice, 2001 and 2003 and was an ominous presence coming out of the bullpen in the ninth inning. Cordero holds the Titan Frosh record for saves (14) and appearances (38). In 176.2 innings pitched, batters hit barely above the Mendoza line, a meager .204 average. Cordero’s 40 appearances in 2003 ranks No. 2 all-time for a single season behind another pitcher that appears on this list, Scott Wright. In three years, Cordero struck out 212 batters while only walking 40. That comes out to a 5.3 strike out to walk ratio. Project Cordero’s strikeouts over nine innings, and the Chief would fan nearly 11 batters (10.8) per game. A strange coincidence after compiling this list was the recurrence of the number two. Only Thomas Eshelman (15) and Jason Windsor (49) did not have a number two on their jersey. Both Chad Cordero and Koby Gauna wore the No. 32, Ted Silva No. 12, Scott Wright No. 20 and Kirk Saarloos the No. 2. Another coincidence in putting together this all-time Titans pitchers list, no left handers. The one left hander that almost cracked the list was Nick Ramirez who also was a fantastic First Baseman. Ramirez almost made the all-time Cal State Fullerton Titan baseball team – Batters list but it was a hard argument to replace Tim Wallach at first base for Ramirez. Ramirez would definitely make the list for “all-time Titan two-way players” along with Michael Lorenzen and Mark Kotsay. As with any list, there are always some very deserving candidates left off. 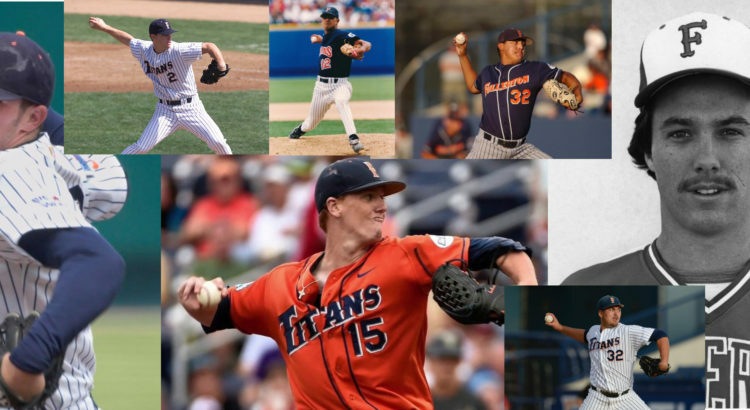 Based on our research and personal memories and experiences, this is the greatest Cal State Fullerton pitching rotation and bullpen to have ever taken the mound. Is there a current player or future player on this year’s or future squads that could replace one of these? Time will tell. Feel free to leave a comment and build your own all-time Cal State Fullerton Titan baseball team below. I feel super lucky to have witnessed Eshelman’s collegiate career in person. Unfortunately, he set an unreasonable expectation in my mind for everyone since.